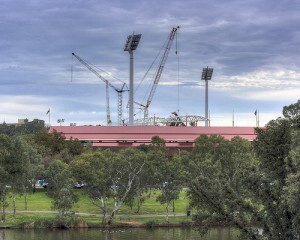 This article is about link building in Adelaide, South Australia. Having more links pointing to your website will increase your traffic from both other websites and search engines. ‘Link Building‘ refers to the practice of creating links (aka ‘backlinks’) on other websites that point to your website. Read more in our article Evaluating Links for Link Building. If you have a local business then including a location keyword in your backlink anchor text can also help you rank better for that location. If you attended UniSA you are in luck as they have a business directory for Alumni where you can get a link to your business website. Add your business to all the directories on our Australian Business Directories list. 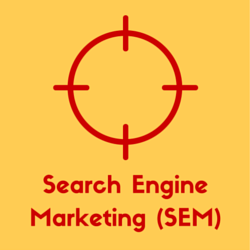 A number of these links will help you with local relevancy and local SEO. If you sponsor a local club or sports team ask for a link back to your website from their website. Need Some Help with your Link Building? Link Building is a big part of our SEO Services. We only use safe, white hat, link building techniques to boost your traffic and leads from search engines. 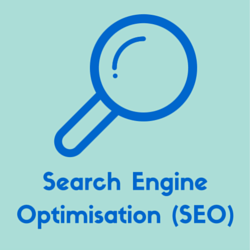 Great SEO service and support by Nick. Excellent communicator and great technical knowledge. It was a great pleasure working with Nick and Wicked Cow. He was extremely effective in assisting us migrate our old to new company website in a quick and painless way, applying SEO to improve our search ranking and making further suggestions on new content that could further improve our web visibility. Top grade communication as well. I would highly recommend his services. We were referred to Wicked Cow Marketing by our website designer. We found his knowledge of SEO to be top notch and right on the money. Not only that but his service, response time, and a personal effort by Nick to educate us were just the qualities we were looking for in our SEO consultant. We would happily put our trust in Nick again and to refer him, due to his excellent results. Great service and support, helped increase our web rankings and organic traffic. Nick and the team knew how to work within limited startup budgets and offered a balanced service. Would recommend. 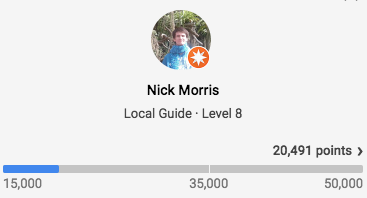 ‘Local Guides’ is Google’s program for encouraging people to contribute photos, reviews, ratings and other info to the Google Maps platform. These are the people who will most likely leave reviews of your business on Google so it helps to understand how the platform works. See my contributions here.